This photo was taken earlier in the week on Alex’s first birthday. We’d had to cancel his birthday party last Sunday because he was so ill with a bad virus, and on his actual birthday on Tuesday he was still very much under the weather and very very subdued. 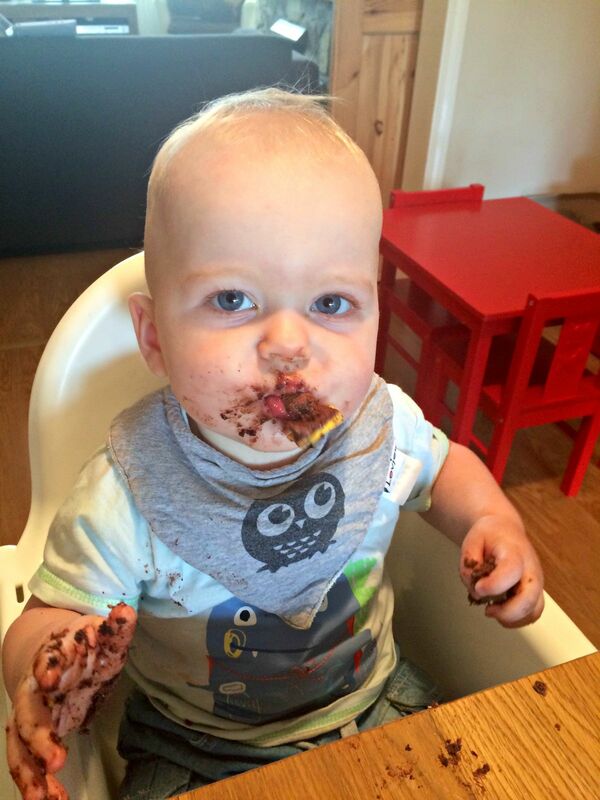 Not even the chocolate cake - which he preferred to smear all over himself, the table, the plates, the high chair and the table decorations than eat – could make him smile. Still, we tried to make the most of it and celebrate our little man’s big day.